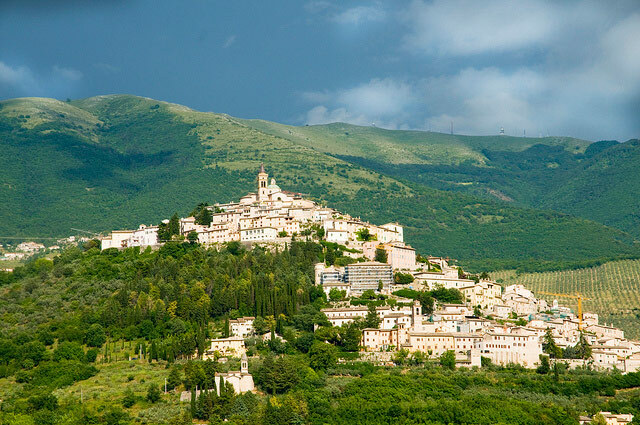 After our Umbria articles, about the Valnerina, our selection of 5 charming little towns in ancient Umbria, and the most lovely B&Bs in Umbria, we are now going to take you on a virtual visit of eight Umbrian hilltop villages, seven of which are located in the province of Perugia (of which three in the Lake Trasimeno area) and one in the province of Terni. 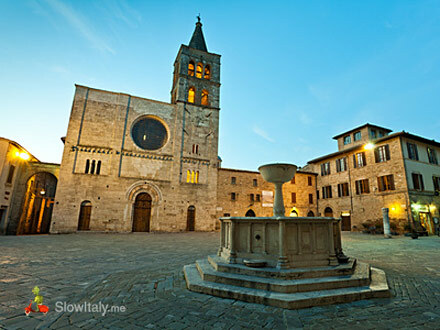 Bevagna is a little town situated south of Assisi at an equal distance from Foligno and Montefalco. The town can trace its origin back more than 3,000 years. Originally an Umbri settlement, it was conquered by the Romans around 80-90 BC. From that moment on started a more flourishing period, partly due to the fact that the ancient Mevania was located along the Via Flaminia. In 1152 the town was set on fire by Frederick Barbarossa. 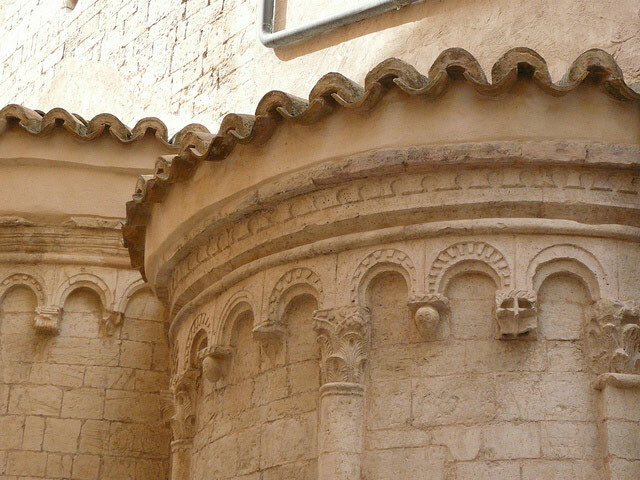 Its main sights include the Palazzo dei Consoli (1270), the romanesque churches of San Michele Arcangelo and San Silvestro. The fountain of Piazza Silvestri, Bevagna. 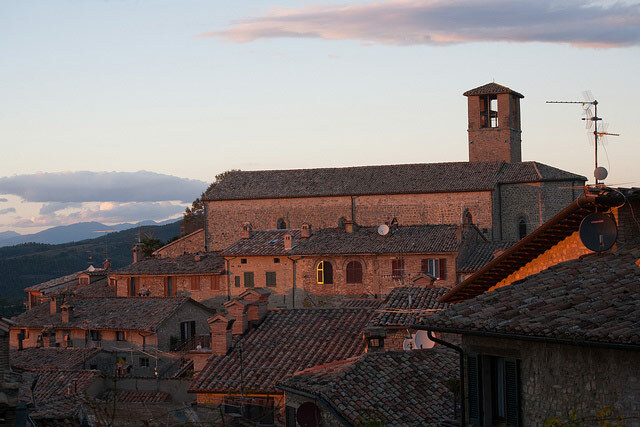 Overlooking the Chiana Valley in the province of Perugia, Città della Pieve is a charming little hamlet, famous for its saffron. 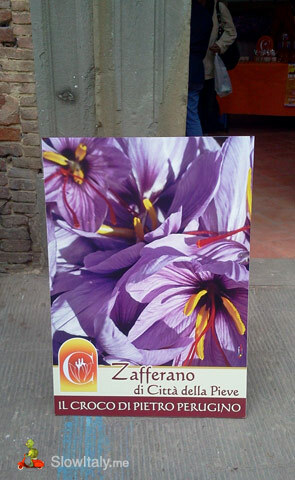 Saffron has been produced in Città della Pieve since the 13th century and a Saffron Festival is organized here every year in October. 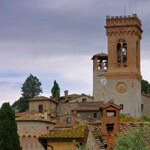 The famous Umbrian Renaissance painter Perugino was born here and left numerous paintings in his birthtown. 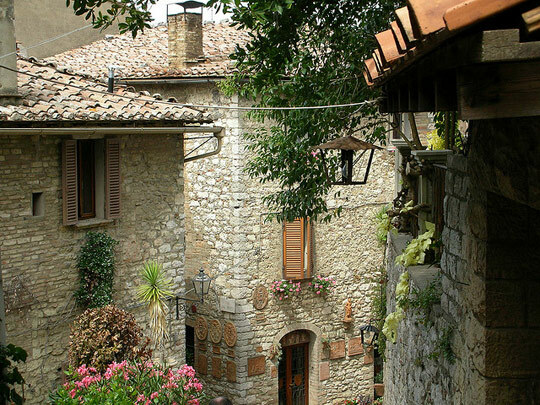 Corciano is a picturesque walled village, located midway between Perugia and Lake Trasimeno, at the top of a hill overlooking the valley that connects the Trasimeno area and Tuscany with the Valtiberina. 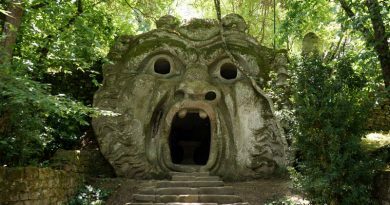 Legend has it that Corciano was founded by Coragino, the mythical companion of Ulysses. 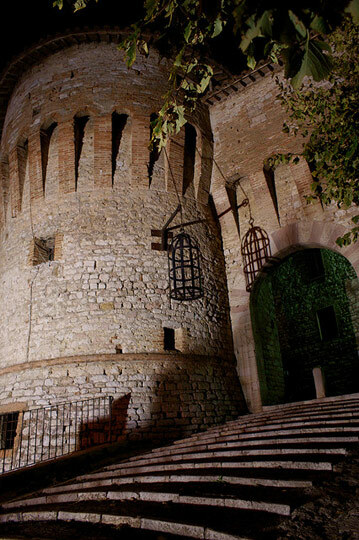 Its strategic location and tripple walls made Corciano a sought after stronghold during the Middle Ages. 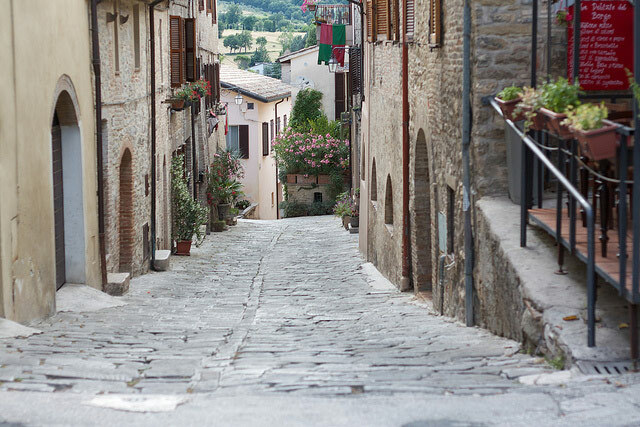 The traces of its history are still visible in its typical concentric street system, narrow streets and stairs, which give it this charming atmosphere of the Umbrian walled villages. Its iconic tower Torrione di Porta Santa Maria was built in 1482. 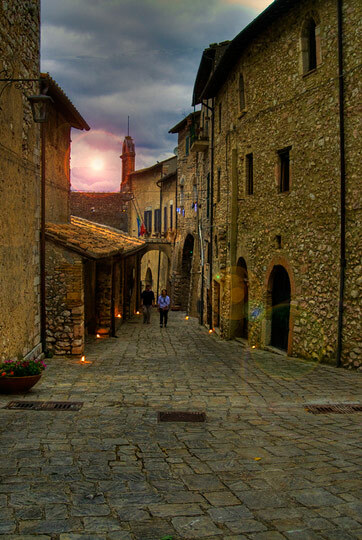 The beauty of Montone resides in the fact that the village managed to maintain its typical medieval lay-out and characteristic Umbrian landscape of the surroundings. 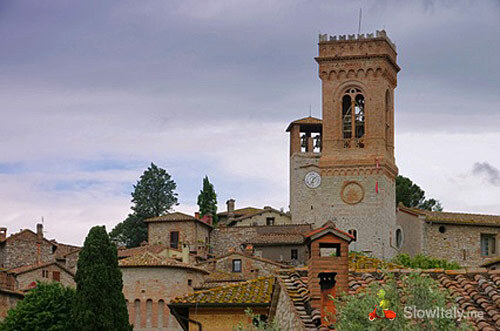 The village is known for its art heritage and sober, gothic architecture, such as the San Francesco church. 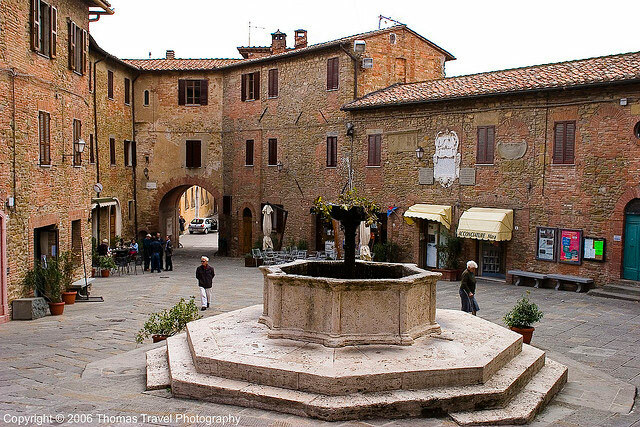 Located south of Lake Trasimeno, Panicale is another village that has maintained the typical lay-out of a medieval hamlet. The town’s narrow streets form concentric ovals around the Palazzo del Podestà, as a measure of defense. The three squares of the town are arranged in axis, one above the other, representing the social classes, with in the lower part, Piazza Umberto I, which was the market place, in the middle, Piazza della Chiesa Collegiata, where the clerical power was represented by the collegiata di San Michele and in the higher part, Piazza del Podestà, that of the political power, with the Palazzo del Podestà. The terrace in Piazza Vittorio offers magnificent views. A picturesque little hamlet that is wonderful to visit at sunset. 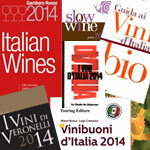 Stroncone counts some lovely restaurants serving delicious genuine Umbrian specialties. 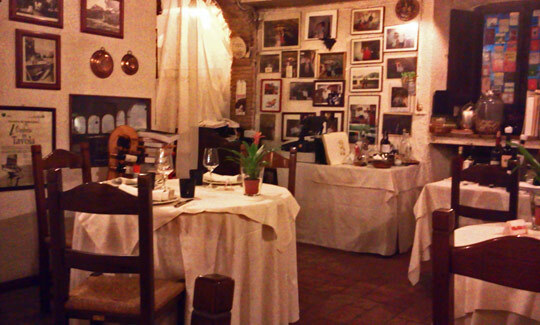 We had dinner at the Restaurant ‘Taverna de Porta Nova’, set, as the name indicates, in an old Taverna inside the city walls of Stroncone. 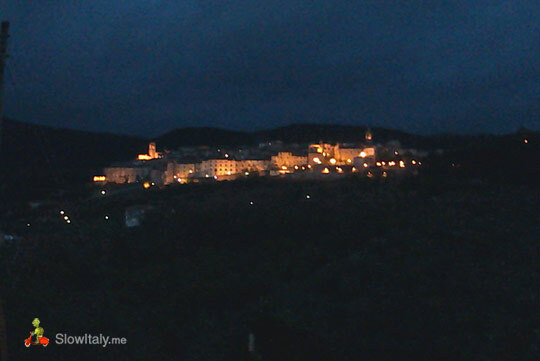 The place was warmly recommended by our host Leonardo, from Torre Palombara. The restaurant is indeed extremely cosy and pleasant. The service was a bit cold, but the delicious food and wine completely made up for it. Restaurant ‘Taverna de Porta Nova’. Photo © Slow Italy. 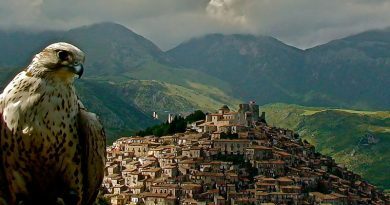 Lying on sharply sloping hill covered with olive groves, the medieval town of Trevi offers one of the best views of Umbria. 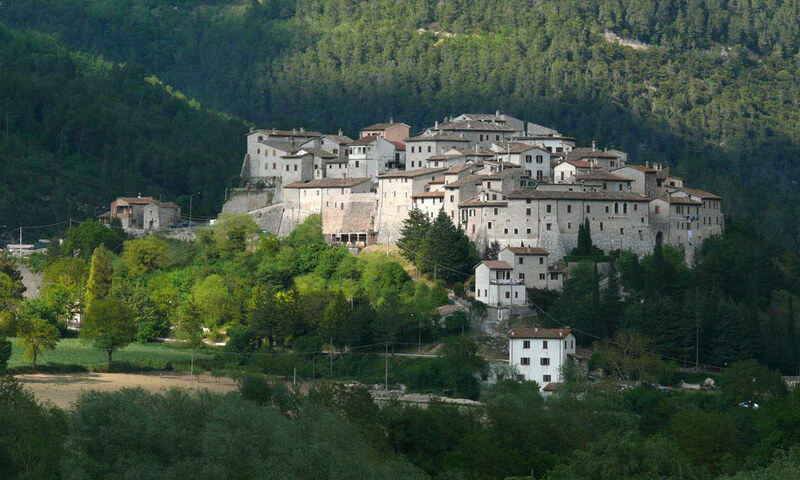 The town became an important settlement when the Via Flamina was diverted through Spoleto and Terni. 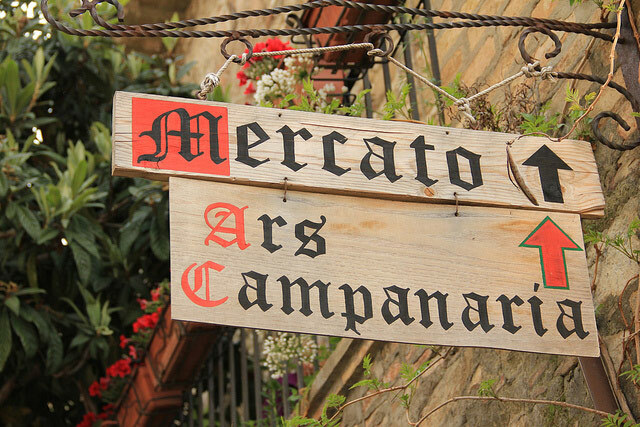 In the 15th century it became an important commercial center and the fourth town in Italy to possess a printing press. Trevi counts a dozen medieval churches: among which the 14th century San Martino, the gothic San Francesco and Sant’Emiliano, a romanesque church originally built in 1100. Unfortunately, many of Trevi’s churches were damaged in the 1997 earthquake. Trevi is famous for its olive oil. 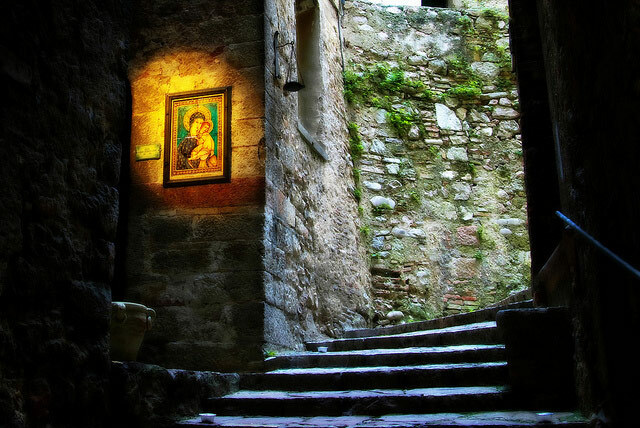 The imposing town walls and the ancient towers embrace the light-colored stone houses, set along the steep alleyways, interrupted only by arches and underpasses. Two symmetrical gates, Portella and Portaranne, give access to the pedestrian fortress-village. 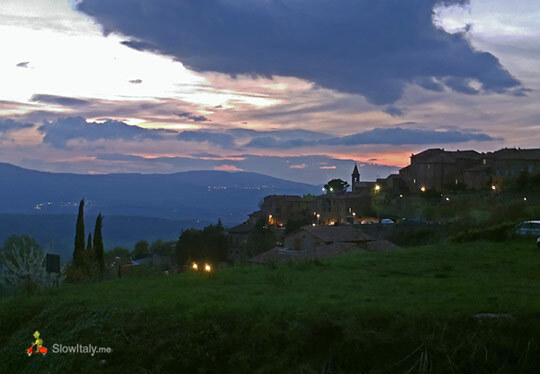 Photo credits (top to bottom): Bevagna by Manuel Ascano, © Pesca/Fotolia.com and Michela Simoncini; Città della Pieve © Slow Italy; Stroncone © Slow Italy; Corciano by Massimo Valiani and Alessandra Cimatti; Montone hilltops by Christopher Long; Montone at sunset by mll;Panicale by Martin Thomas, Josh Friedman and Antonio ;Stroncone (2 & 3) by Ferruccio Berti; Stroncone restaurant © Slow Italy; Trevi by Tom Kelly; Vallo di Nera by Claus Moser. I enjoyed Montefalco as well. Ever been? 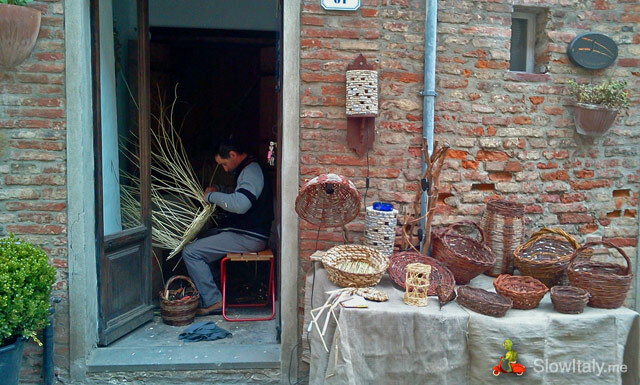 Indeed Christina, Montefalco is absolutely wonderful, but maybe a little more known than these villages? 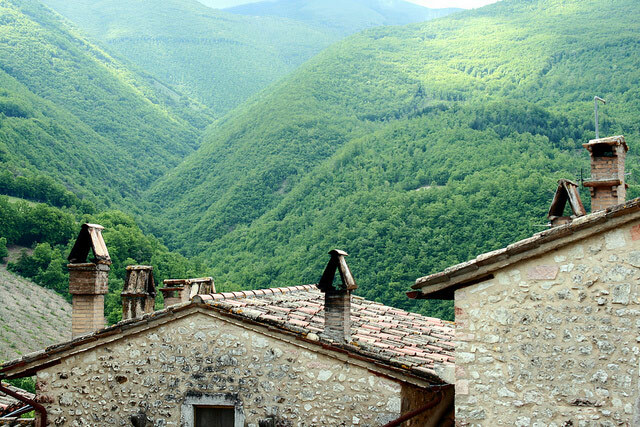 In this article, my aim was to concentrate on a few of the less famous Umbrian hilltop towns. But, thank you so much for the tip! Montefalco certainly deserves to be included in an upcoming article. 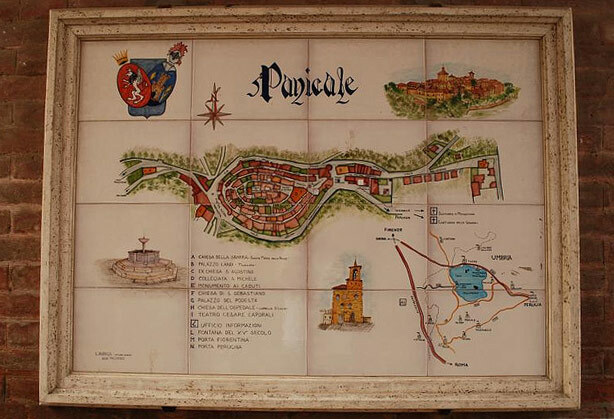 I have been to Panicale! Beautiful hillside town and fabulous restaurants. 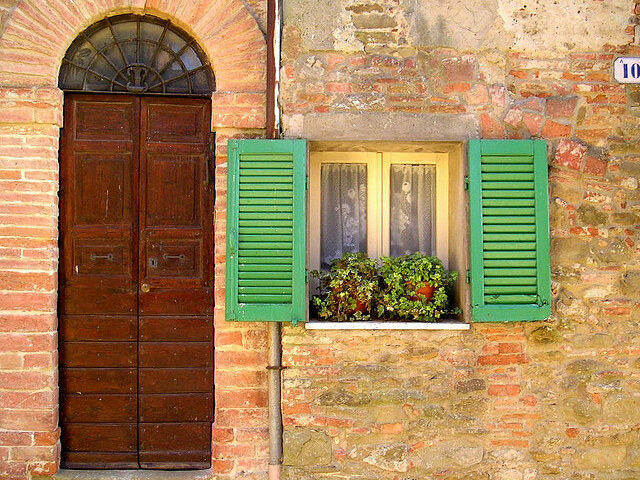 Paciano is not far from Panicale and also has lots of charm, we stayed for a week at an organic farm house. 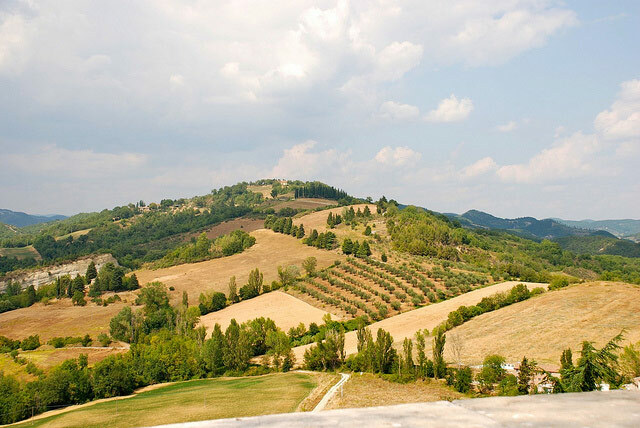 I love Umbria!